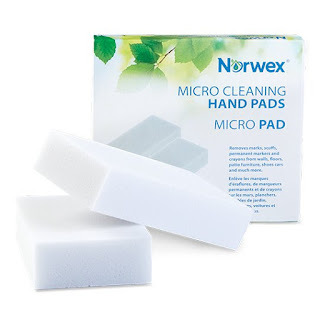 The Norwex Micro Cleaning Hand Pads are great for tough cleaning jobs, such as removing crayon marks from walls, scuff marks from floors and doors, soap residue, ground-in dirt on patio furniture, and much more! 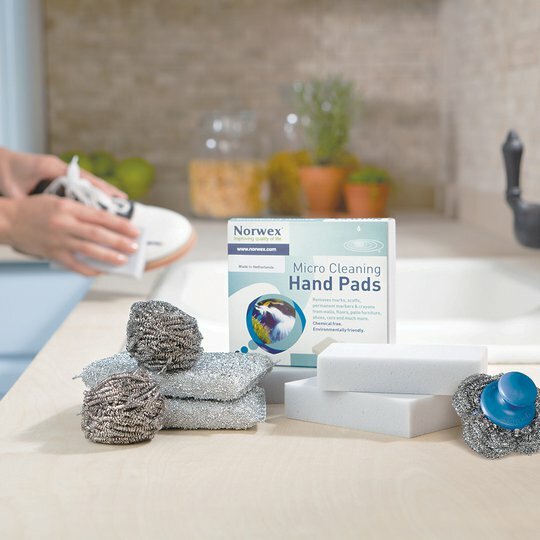 This lightly-abrasive sponge is very effective for deep cleaning. Pack of 2, 10 cm x 6 cm x 2 cm / 4" x 2.5" x 1"
The Micro Hand Pad does not contain cleaning chemicals.